Wind and waterproof shell jacket with taped seams. Breathable thanks to a layering system. Mesh lining creates a layer of air and supports ventilation. Spacious double chest pockets; two with flaps and Velcro® closure and two with watertight zip. Front pockets with flap and zip. Three inside pockets, two with mesh and zip, one with Velcro® closure. Adjustable sleeves and hem. Hood with drawstring, detachable with snap fasteners. Certified according to EN 343 for rainwear. - Wind and waterproof with taped seams. - Breathable for extra comfort. 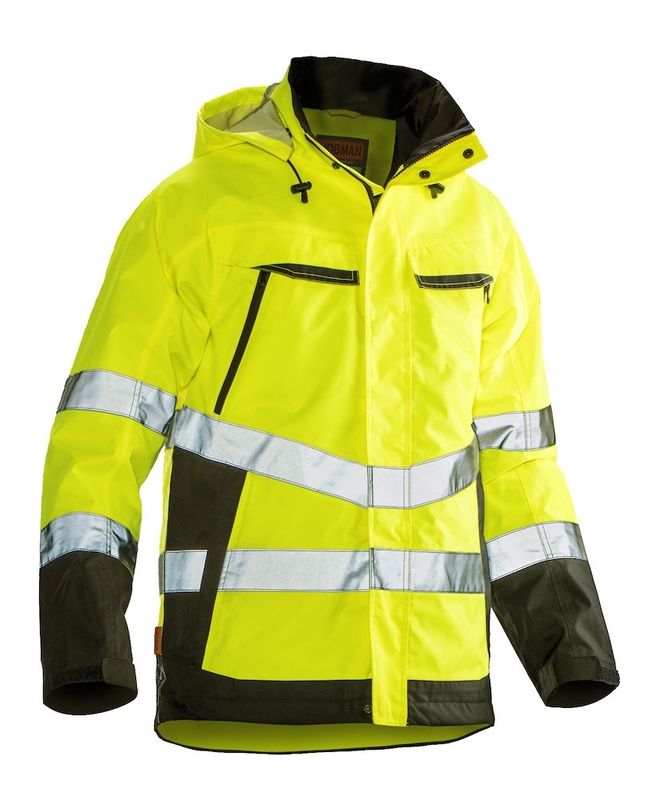 - Detachable hood for improved safety.